We've talked about how CBD works with so many other aspects in the body. Let's get into pain now. Actually, let's get out of pain! An estimated 100 Million Americans deal with chronic pain. That's more than deal with diabetes, cancer, and heart disease combined! The cost of this pain is put at roughly half a trillion dollars in medical care and economic loss! It's why we have such an epidemic with opioids now. We'll touch on that specifically later. The war on pain has only brought more suffering. Clearly, we need new pathways for people in pain. It's important to understand that not all pain is the same. 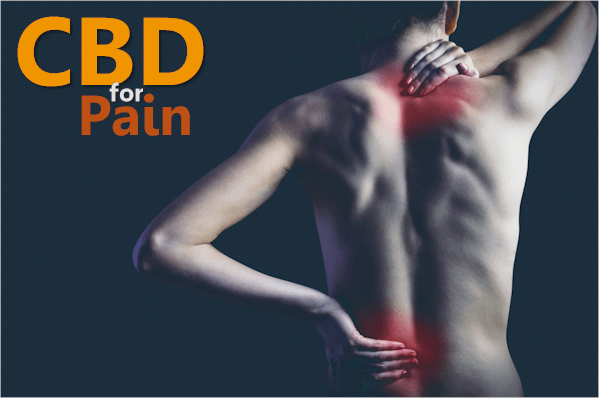 Luckily, CBD is showing promise with all the types of pain! Let's look at all aspects of CBD and pain based on research on the subject. Do other cannabinoids help with pain? There are different types of pain but ultimately, they rely on the same systems. It alerts us that something is wrong (usually). If you get stung by a bee, it hurts! There's an intricate system behind this simple ouch feeling! You have millions of receptors throughout the body called nociceptors which relay injury or pain to the brain. They send the message to the spinal cord and then up to the brain where the signal is processed as pain. It's fine when this goes away but for many people, it doesn't. Let's look at the different kinds of pain since that impacts how CBD might work. The pain system is the same but the nature of the source of pain and how we interpret is definitely not! Where we see major issues is when the pain signal gets stuck "on". This can be due to the underlying issue not resolving (back injury), illness (fibromyalgia), or errors in the pain nerve relay system itself. It's likely you have either suffered from chronic pain or know someone close who has. Neurological pain can be even more maddening. If the the machinery for signaling pain itself gets stuck on, how do you address that? Inflammatory pain can run from a swollen ankle to generalize inflammation in the gut or body. When that inflammation is in the brain, it can be especially disruptive. So...we know what pain is a little better...how does CBD come into play. We broke out the different kinds of pain because CBD is showing the ability to act at different levels on the signaling and cause of pain! Make sure to check out our articles on How CBD Works and the Beginners Guide to CBD but let's talk about pain specifically. This is one of the main attributes that has made CBD so explosive in popularity (along with sleep and anxiety). First, CBD has been shown to reduce the sensation of pain itself. A pain reliever. This is called an "analgesic" in medical parlance. It brings the threshold of pain down. Pain loses some of its ability to signal at full strength. Good news if pain is chronic. It explains the pathways by which CBD and cannabinoids affect pain. 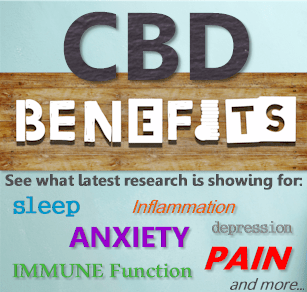 There are numerous research papers on how CBD affects the pathways of pain beneficially. Some pain is the result of inflammation in the body. This inflammation can affect tissue or worse yet, the nervous system itself. Inflammation is a natural part of the body's handling of injury. Too much of it is where things go haywire. One of the powerful effects of CBD is on the inflammatory pathways. Transdermal CBD gel significantly reduced joint swelling, limb posture scores as a rating of spontaneous pain, immune cell infiltration and thickening of the synovial membrane in a dose-dependent manner. Inflammation is a key target of CBD in general and pain, specifically. Some pain doesn't come from tissue in our body (skin, bones, etc) but from the pathway itself. The very system used to relay pain from the body to the brain gets stuck! An ingenious look into how this works. There's a study where vets who lost limbs during war have a phantom limb with excruciating pain. The trauma from the original injury is locked in the nervous system and continues sending message of intense pain to the brain where the nerves are cut off. As if the pain is coming from the missing limb. The researchers tried an ingenious experiment involving mirrors and touches on the intact hand to trick the brain into believing the limb was visually present again. This allowed a reset on the pain circuit and provided relief to the person. Yes, it's a strange example but it shows how powerful this system can be when it gets stuck in the "on" position! There are some interesting attributes of CBD in terms of resetting this circuit. First, CBD has shown promise in creating new neurons and neuronal growth via NDNF. CBD treatment resulted in an increase in BDNF expression in the hippocampus and decreased levels of proinflammatory cytokines in the hippocampus (TNF-A) and prefrontal cortex (IL-6). You can see this "bypassing" of bad circuits and even bad memories! A lot of it depends on the person, his/her history, physiology, and even gender. In fact, there's a tie between a person's mental health (anxiety, depression, OCD, etc) and pain thresholds. 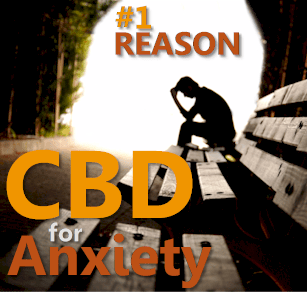 We've written extensively about CBD's promise with anxiety and depression plus other mental states. This can only have a positive effect on pain reception, threshold, and tolerance! Painkiller usually means that it's an analgesic. CBD blocks the reception of pain signals and therefore reduces the perception of pain. It can address different kinds of pain such as acute, inflammatory, chronic, and neurodegenerative. This is particularly important now with the opioid crisis and over 100 Million people in the US dealing with chronic pain. Looking at the research links above, chronic pain is definitely a target for CBD. This partially depends on the type of pain and type of CBD delivery. Acute pain (tied to a specific injury) will see quicker response. Chronic and neurological pain is a slower process. Let's look at the delivery since that really affects how quickly it works. The tincture (drops under tongue) is the most popular. If sub-lingual (under tongue), the effects can occur in 10-15 minutes. If swallowed, it's a slower process but it lasts longer. Generally 30 minutes plus to begin. The topical can act faster for localized pain. Once applied, relief can occur in 5-10 minutes. We've seen remarkable effects on sunburn, acne, psoriasis. The last is amazing since that tends to be a very stubborn skin issue with more serious autoimmune roots. That's why we recommend starting with a lower test dose and work your way up. 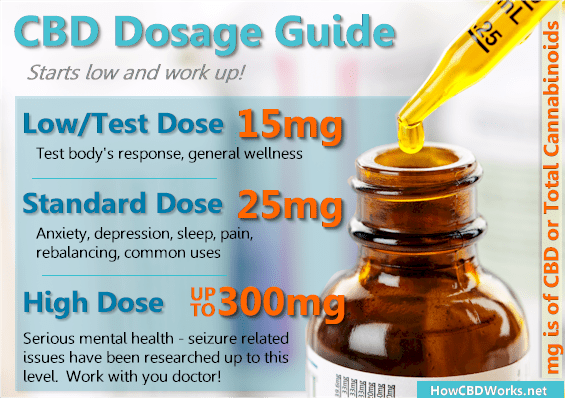 Get lots of great guidance on the best CBD dosage here. We need much more research on this question. THCa (the non-psychoactive version of THC), CBN, and others are showing strong pain relief ability alongside CBD. THC has it's issues though in terms of addiction, legality, failing drug tests, and depression/anxiety rebound effects. See THC versus CBD here. We have a whole article on full spectrum CBD versus isolate. We still need more research on this front! THC is generally thought to have strong effects on both pain and sleep. If the ratio of CBD to THC is 1:1 or greater (with CBD being more), it will negate the "high" effect of THC. Especially for topical applications like balm. In the meantime, look for full spectrum products for the synergistic effect of other cannabinoids. 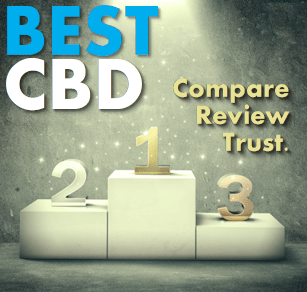 Check out the CBD comparison here for full spectrum lists. Ibuprofen is a common NSAID sold over the counter. Many people use ibuprofen to reduce or alleviate pain. Some people over-use it due to chronic or intense pain. You probably know someone like this! The issue is that NSAID's carry a heavy toll on the liver when over-used. The FDA just issued a warning regarding Ibuprofen and Stroke and Heart Attack. It's now on the label. The real danger for long term, heavy use of Ibuprofen is poor liver function or even liver failure. Ibuprofen was designed for the one-off, acute pain situation. A headache. Bruised ankle. Etc! Not day after day of chronic use. In this situation, the safety profile of CBD versus Ibuprofen is much better! There is not one know overdose of CBD reported. See NSAIDs below, of which Ibuprofen is one, for more detail on the risks! We mentioned the over the counter NSAID, Ibuprofen. Celebrex is the big one. Take a look at the side effects for Celebrex. Millions of Americans are taking NSAID's long term at high doses. It's estimated that over 16,000 Americans die each year solely due to intestinal bleeding as a result of NSAID usage. CBD is definitely a candidate for replacement. It has a much stronger safety profile. It works both as analgesic, anti-inflammatory, and neuropathic regenerator. It uses our own body's system to manage pain thresholds and inflammation. 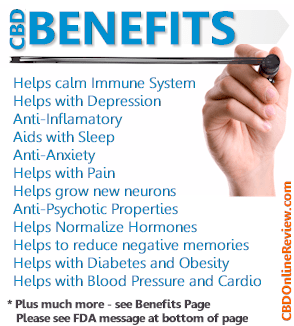 Throw in the many other positive benefits for CBD, and it's definitely a preferred approach. There's an amazing article comparing CBD and Tylenol or Acetominophen here. This is where we're most excited. The opioid crisis has ripped through the US and millions of families have been devastated by a drug that's not even very effective for chronic pain! If you have a surgery, okay. Chronic back pain? The risks are too high. Definitely try CBD (full spectrum and maybe even THC if legal in your State) first. Maybe even more exciting is that CBD shows promise in offsetting the horrible withdrawals from opioids and other addictive drugs. Even THC! Check out CBD and addiction here. Where can we get reviews of CBD for pain? We'll be adding a whole page of responses by category shortly. Make sure to send us your story on CBD and pain (will be published anonymously). Let's help each other find the best relief from pain! There isn't a good review site yet for CBD since it's so new but we're building up reviews as we speak. Both will have varying levels of CBD in them. The difference is the other ingredients present. On average...the balms tend to be stronger. The creams are more general skin health as opposed to addressing real pain. One of the most common sources of pain for millions of Americans is the back! Whether you "threw" it out or have a chronic injury from a fall (or something more foolish in your youth), it can really hurt quality of life. Right now, there are three options: opioids, NSAIDs, or cannabinoids (of which CBD is one). We listed many (but definitely not all) of the research showing CBD's promise for chronic pain. PLEASE try this approach first! The risks of opioid addiction and NSAID's related issues is too great for truly chronic back pain! We recommend the tincture for long term chronic back pain treatment due to cost. For spot treatments, the balm or vape give faster help. If you're really in a bad way, try both to get the endocannabinoid system to rev up on all fronts! With CBD, it's important to start slow and test how you respond to it. Pain is different to each person! We have a whole article on CBD dosages here. Start with tincture at 15mg doses. Work up to 25mg once you've tested CBD with stomach and feel comfortable with it. Try that first but there is new research on even higher doses from there. This is usually for more severe issues but we're not going to tell you how YOUR pain is. Find the right level for you and monitor. Start with the tincture for longer lasting general pain. The balms work well for localized pain (a knee for example). The vape is used for quick relief. A combination of the balm for spot relief and the tincture for longer term help may be best. Cost! This is chronic pain...we need to be able to afford the remedy. You can compare the CBD brands here based on all these criteria! We screened the major CBD brands and options available. We'll constantly add to this list as things change (and they're changing daily).